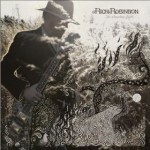 Share the post "Album review: RICH ROBINSON – The Ceaseless Sight"
Rich Robinson’s ‘The Ceaseless Sight’ gently washes over you, invites you to immerse yourself in its deep textures and lyrical reflection, leaving you with a gentle uplifting feeling of having shared Rich’s heartfelt feelings and musical vision. It’s a slow burning album that brings rich reward with repeated plays. The mix of subtle grooves, intricate acoustic wash, undulating melodies, nuanced harmonies, shifting guitar tones and a constant strong percussive undertow make ‘The Ceaseless Sight’ one of those albums that demands your time and patience. Robinson has that rare ability to mould his lyrics with his music so they become intertwined, particularly so on the uplifting ‘Trial and Faith’ where the percolating percussion drives the song to a guitar driven conclusion. After a meandering journey it acts like the bursting of the damn, as the song’s celebratory feel is given extra heft by the gnawing guitar line, and though its not the concluding track – that belongs to the Family influenced acoustic instrumental outro ‘Obscure The Day’- it could just as easily have been. ‘The Ceaseless Sight’ comprises a dozen tracks recorded in Woodstock, and essentially cut by Rich and his drummer Joe Magistro – perhaps explaining the strong percussive presence – with additional help from keyboard player Marco Benevento. ‘The Ceaseless Sight’ isn’t so much a linear and coherent journey as an interlinked set of songs that draw from the same musical source and spiritual well. It’s a reflective album on which Rich Robinson seeks to put the past behind him (perhaps both his personal life and The Black Crowes) and looks forward to the future with a sense of optimism. Everything on this album is neatly balanced out, from the musical ebbs and flows to the song content, with ‘This Unfortunate Show’ being a counterweight to the preceding, languid and Stones influenced county-rock love song ‘The Giving Key’. Rich sings it with Leon Helm’s (The Band) daughter Amy Helm, so reconnecting the project with its Woodstock recording location. This entry was posted in ALBUM REVIEWS, ALBUM REVIEWS (Mobile), All Posts and tagged album, Amy Helm, country rock, Crosby Stills Nash & Young, Fleet Foxes, guitar, Jackson Brown, Joe Magistro, Leon Helm, Litte Feat, Marco Benevento, Neil Young, review, Rich Robinson, Rolling Stones, The Black Crowes, The Ceaseless Sight. Bookmark the permalink.